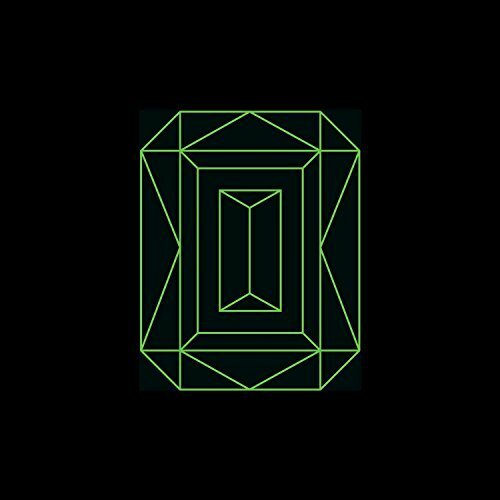 Lord Huron have returned on April 20th with their third studio album titled, Vide Noir. The California based band embarks on a journey through the cosmos and they’re taking the listeners along for the ride. The album is a story of a loss of love and what happens to a person when they experience the stages of grief that follow. Vide Noir is French for black void and throughout the album we hear the narrator sing of this place often. This drum and bass heavy album is slightly more garage rock than their previous works. Lead singer Ben Schneider drew his inspiration for this album from his night drives around LA describing Vide Noir as, “Anepic odyssey through the city, across dimensions, and out into the cosmos.” Personally I couldn’t think of a better description! The first track, “Lost in Time and Space” sets the tone for the story being told in this record. The narrator’s lover has left him, he finds himself confused and unsure of what’s to come. He drowns his sorrows in a galaxy of cocktail bars. He is aimless and seems to be entering into the pure black void. “I don’t know who I am, I don’t know where I am.” This opening track invites the listener to feel the narrator’s sorrow and leaves us feeling hopeful for his lover’s return. More than halfway through the album, our storyteller is experiencing a sudden dose of reality. “Back From The Edge,” explains how the main character has supposedly found his way out of the black void. “I fell back down to Earth through a hole in the sky.” This song leaves you contemplating wether or not the narrator is truly out of the black void or is he really just delusional to it all. The next track sings, “How does a man change the universe?” and shortly after a whimsical outro in “The Balancer’s Eye” you hear an enchanting voice whisper, “follow the emerald star!” That sparks an excitement in the listener’s mind that our main character could possibly find his way back to his lover. The following song is his quest to rescue his damsel from the black void. “When The Night Is Over” is a desperate journey to find her but he only has until the morning to do so. “Theres an emerald in the sky,” a hopeful lyric that shows there is still a chance! But time is nearly up for our hero. The title track, “Vide Noir” finds our narrator on his way back into the black void. He is on the edge of giving up hope that he will ever find his lover. He explains that his mind is destroyed. Love can do such things to us as we give most, if not all of ourselves to our partner when we are in love. “Emerald Star” is the final track to this other-worldly journey through time and space. Lord Huron stun with harmonies that bring this album to an emotional close. Our narrator is hit with the realization that his lover never loved him in the first place. She was indeed the emerald in the sky that he was searching for. “You light up the night by blinkin’ your eyes, I’ll cry and i’ll cry if your light ever dies.” The closing lines of a ethereal story to find a love he never truly had. We can always count on Lord Huron to bring us through the cosmos and back down to Earth all within the span of a 12-song album. Ben’s late night drives around LA brought us a record that takes us floating through space. I will continue to hope that our main character will someday find the emerald star that he deserves. Anyone willing to go on such a journey for love deserves one that takes them out of this world and beyond.